Spring Cloud Contract Verifier enables Consumer Driven Contract (CDC) development of JVM-based applications. It moves TDD to the level of software architecture. JSON stub definitions to be used by WireMock when doing integration testing on the client code (client tests). Test code must still be written by hand, and test data is produced by Spring Cloud Contract Verifier. Messaging routes, if you’re using a messaging service. We integrate with Spring Integration, Spring Cloud Stream, Spring AMQP, and Apache Camel. You can also set your own integrations. Acceptance tests (in JUnit 4, JUnit 5 or Spock) are used to verify if server-side implementation of the API is compliant with the contract (server tests). A full test is generated by Spring Cloud Contract Verifier. Before becoming Spring Cloud Contract, this project was called Accurest. It was created by Marcin Grzejszczak and Jakub Kubrynski from (codearte.io. The 0.1.0 release took place on 26 Jan 2015 and it became stable with 1.0.0 release on 29 Feb 2016. 87.2 Why a Contract Verifier? Deploy all microservices and perform end-to-end tests. Mock other microservices in unit/integration tests. Both have their advantages but also a lot of disadvantages. Tests real communication between services. To test one microservice, we have to deploy 6 microservices, a couple of databases, etc. The environment where the tests run is locked for a single suite of tests (nobody else would be able to run the tests in the meantime). They take a long time to run. The feedback comes very late in the process. They are extremely hard to debug. They provide very fast feedback. They have no infrastructure requirements. The implementor of the service creates stubs that might have nothing to do with reality. You can go to production with passing tests and failing production. To solve the aforementioned issues, Spring Cloud Contract Verifier with Stub Runner was created. The main idea is to give you very fast feedback, without the need to set up the whole world of microservices. If you work on stubs, then the only applications you need are those that your application directly uses. Spring Cloud Contract Verifier gives you the certainty that the stubs that you use were created by the service that you’re calling. Also, if you can use them, it means that they were tested against the producer’s side. In short, you can trust those stubs. To ensure that WireMock/Messaging stubs (used when developing the client) do exactly what the actual server-side implementation does. To promote ATDD method and Microservices architectural style. To provide a way to publish changes in contracts that are immediately visible on both sides. To generate boilerplate test code to be used on the server side. Spring Cloud Contract Verifier’s purpose is NOT to start writing business features in the contracts. Assume that we have a business use case of fraud check. If a user can be a fraud for 100 different reasons, we would assume that you would create 2 contracts, one for the positive case and one for the negative case. 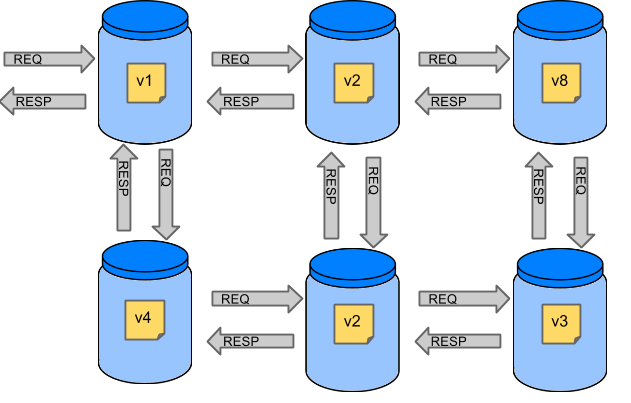 Contract tests are used to test contracts between applications and not to simulate full behavior. This section explores how Spring Cloud Contract Verifier with Stub Runner works. You can find a somewhat longer tour here. To start working with Spring Cloud Contract, add files with REST/ messaging contracts expressed in either Groovy DSL or YAML to the contracts directory, which is set by the contractsDslDir property. By default, it is $rootDir/src/test/resources/contracts. Running ./mvnw clean install automatically generates tests that verify the application compliance with the added contracts. By default, the tests get generated under org.springframework.cloud.contract.verifier.tests..
As the implementation of the functionalities described by the contracts is not yet present, the tests fail. To make them pass, you must add the correct implementation of either handling HTTP requests or messages. Also, you must add a correct base test class for auto-generated tests to the project. This class is extended by all the auto-generated tests, and it should contain all the setup necessary to run them (for example RestAssuredMockMvc controller setup or messaging test setup). Once the implementation and the test base class are in place, the tests pass, and both the application and the stub artifacts are built and installed in the local Maven repository. The changes can now be merged, and both the application and the stub artifacts may be published in an online repository. Spring Cloud Contract Stub Runner can be used in the integration tests to get a running WireMock instance or messaging route that simulates the actual service. The tests are being skipped because the Producer-side contract implementation is not in place yet, so the automatically-generated contract tests fail. Use the REMOTE stubsMode when downloading stubs from an online repository and LOCAL for offline work. Now, in your integration test, you can receive stubbed versions of HTTP responses or messages that are expected to be emitted by the collaborator service. You can find an even more brief tour here. The input and the output messages can be defined (taking into account from and where it was sent, the message body, and the header). The methods that should be called after the message is received. The methods that, when called, should trigger a message. Running ./mvnw clean install automatically generates tests that verify the application compliance with the added contracts. By default, the generated tests are under org.springframework.cloud.contract.verifier.tests.. Since 2.1.0, it is also possible to use RestAssuredWebTestClient`with Spring’s reactive `WebTestClient run under the hood. This is particularly recommended while working with Reactive, Web-Flux-based applications. In order to use WebTestClient set testMode to WEBTESTCLIENT. Apart from the default JUnit 4, you can instead use JUnit 5 or Spock tests, by setting the plugin testFramework property to either JUNIT5 or Spock. You can now also generate WireMock scenarios based on the contracts, by including an order number followed by an underscore at the beginning of the contract file names. To make them pass, you must add the correct implementation of handling either HTTP requests or messages. Also, you must add a correct base test class for auto-generated tests to the project. This class is extended by all the auto-generated tests and should contain all the setup necessary to run them (for example, RestAssuredMockMvc controller setup or messaging test setup). You can now merge the changes and publish both the application and the stub artifacts in an online repository. In order to enable working with contracts while creating applications in non-JVM technologies, the springcloud/spring-cloud-contract Docker image has been created. It contains a project that automatically generates tests for HTTP contracts and executes them in EXPLICIT test mode. Then, if the tests pass, it generates Wiremock stubs and, optionally, publishes them to an artifact manager. In order to use the image, you can mount the contracts into the /contracts directory and set a few environment variables. The tests are skipped because the Producer-side contract implementation is not yet in place, so the automatically-generated contract tests fail. As consumers of services, we need to define what exactly we want to achieve. We need to formulate our expectations. That is why we write contracts. Assume that you want to send a request containing the ID of a client company and the amount it wants to borrow from us. You also want to send it to the /fraudcheck url via the PUT method. (3) - to the URL "/fraudcheck"
#(3) - to the URL "/fraudcheck"
Spring Cloud Contract generates stubs, which you can use during client-side testing. You get a running WireMock instance/Messaging route that simulates the service. You would like to feed that instance with a proper stub definition. At some point in time, you need to send a request to the Fraud Detection service. Annotate your test class with @AutoConfigureStubRunner. In the annotation provide the group id and artifact id for the Stub Runner to download stubs of your collaborators. After that, during the tests, Spring Cloud Contract automatically finds the stubs (simulating the real service) in the Maven repository and exposes them on a configured (or random) port. Since you are developing your stub, you need to be sure that it actually resembles your concrete implementation. 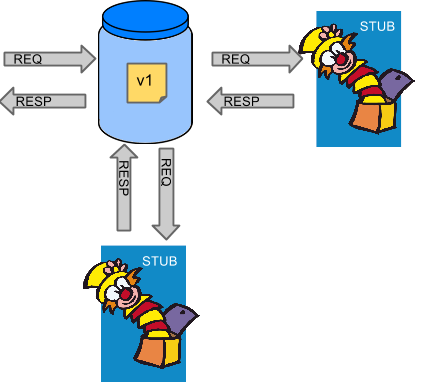 You cannot have a situation where your stub acts in one way and your application behaves in a different way, especially in production. To ensure that your application behaves the way you define in your stub, tests are generated from the stub you provide. Consider an example of Fraud Detection and the Loan Issuance process. The business scenario is such that we want to issue loans to people but do not want them to steal from us. The current implementation of our system grants loans to everybody. Assume that Loan Issuance is a client to the Fraud Detection server. In the current sprint, we must develop a new feature: if a client wants to borrow too much money, then we mark the client as a fraud. Technical remark - Fraud Detection has an artifact-id of http-server, while Loan Issuance has an artifact-id of http-client, and both have a group-id of com.example. Social remark - both client and server development teams need to communicate directly and discuss changes while going through the process. CDC is all about communication. The server side code is available here and the client code here. In this case, the producer owns the contracts. Physically, all the contract are in the producer’s repository. Start doing TDD by writing a test for your feature. Clone the Fraud Detection service repository locally. Define the contract locally in the repo of Fraud Detection service. Add the Spring Cloud Contract Verifier plugin. Take over the pull request. Assume that you have written a test of your new feature. If a loan application for a big amount is received, the system should reject that loan application with some description. At some point in time, you need to send a request to the Fraud Detection service. Assume that you need to send the request containing the ID of the client and the amount the client wants to borrow. You want to send it to the /fraudcheck url via the PUT method. For simplicity, the port of the Fraud Detection service is set to 8080, and the application runs on 8090. If you start the test at this point, it breaks, because no service currently runs on port 8080. You can start by playing around with the server side contract. To do so, you must first clone it. Place the contract under src/test/resources/contracts/fraud folder. The fraud folder is important because the producer’s test base class name references that folder. The YML contract is quite straight-forward. However when you take a look at the Contract written using a statically typed Groovy DSL - you might wonder what the value(client(…​), server(…​)) parts are. By using this notation, Spring Cloud Contract lets you define parts of a JSON block, a URL, etc., which are dynamic. In case of an identifier or a timestamp, you need not hardcode a value. You want to allow some different ranges of values. To enable ranges of values, you can set regular expressions matching those values for the consumer side. You can provide the body by means of either a map notation or String with interpolations. Consult the Chapter 93, Contract DSL section for more information. We highly recommend using the map notation! You must understand the map notation in order to set up contracts. Please read the Groovy docs regarding JSON. and a Content-Type header with a value of application/vnd.fraud.v1+json. Once you are ready to check the API in practice in the integration tests, you need to install the stubs locally. We can add either a Maven or a Gradle plugin. In this example, you see how to add Maven. First, add the Spring Cloud Contract BOM. It confirms that the stubs of the http-server have been installed in the local repository. Annotate your test class with @AutoConfigureStubRunner. In the annotation, provide the group-id and artifact-id for the Stub Runner to download the stubs of your collaborators. (Optional step) Because you’re playing with the collaborators offline, you can also provide the offline work switch (StubRunnerProperties.StubsMode.LOCAL). This output means that Stub Runner has found your stubs and started a server for your app with group id com.example, artifact id http-server with version 0.0.1-SNAPSHOT of the stubs and with stubs classifier on port 8080. What you have done until now is an iterative process. You can play around with the contract, install it locally, and work on the consumer side until the contract works as you wish. Once you are satisfied with the results and the test passes, publish a pull request to the server side. Currently, the consumer side work is done. This example uses "convention based" naming by setting the packageWithBaseClasses property. Doing so means that the two last packages combine to make the name of the base test class. In our case, the contracts were placed under src/test/resources/contracts/fraud. Since you do not have two packages starting from the contracts folder, pick only one, which should be fraud. Add the Base suffix and capitalize fraud. That gives you the FraudBase test class name. All the generated tests extend that class. Over there, you can set up your Spring Context or whatever is necessary. In this case, use Rest Assured MVC to start the server side FraudDetectionController. If you used the Groovy DSL, you can see, all the producer() parts of the Contract that were present in the value(consumer(…​), producer(…​)) blocks got injected into the test. In case of using YAML, the same applied for the matchers sections of the response. Note that, on the producer side, you are also doing TDD. The expectations are expressed in the form of a test. This test sends a request to our own application with the URL, headers, and body defined in the contract. It also is expecting precisely defined values in the response. In other words, you have the red part of red, green, and refactor. It is time to convert the red into the green. When you execute ./mvnw clean install again, the tests pass. Since the Spring Cloud Contract Verifier plugin adds the tests to the generated-test-sources, you can actually run those tests from your IDE. Your CI might run something like ./mvnw clean deploy, which would publish both the application and the stub artifacts. Now you can disable the offline work for Spring Cloud Contract Stub Runner and indicate where the repository with your stubs is located. At this moment the stubs of the server side are automatically downloaded from Nexus/Artifactory. You can set the value of stubsMode to REMOTE. The following code shows an example of achieving the same thing by changing the properties. The best way to add dependencies is to use the proper starter dependency. For stub-runner, use spring-cloud-starter-stub-runner. When you use a plugin, add spring-cloud-starter-contract-verifier. Here are some resources related to Spring Cloud Contract Verifier and Stub Runner. Note that some may be outdated, because the Spring Cloud Contract Verifier project is under constant development. You can find some samples at samples.